A rehabilitation collaboration between ASSA, Handicare International and the McGill University School of Physical and Occupational Therapy. This is an update on the program, explaining the process and highlighting key aspects of the project, lessons learned and future ideas. 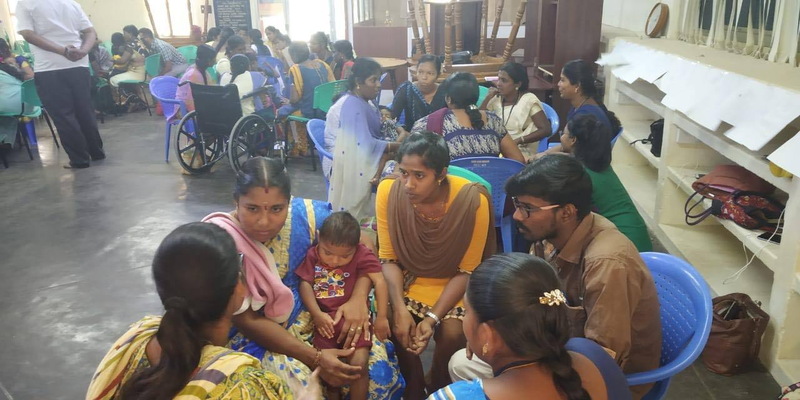 This is the third in a series of blogs about a collaborative project to develop, implement and evaluate a train-the-trainer project at Amar Seva Sangam (ASSA) in Tamil Nadu, India. You can find the first and second blogs here. The project is a collaboration between ASSA, Handicare International and the McGill University School of Physical and Occupational Therapy (SPOT). Since our previous blog, we have rolled out the train-the-trainer program at ASSA and are currently in the process of collecting feedback from the participants. The training program kicked off on January 29th, 2019 soon after the arrival of Anik Goulet, PT (McGill) and Dr. Dinesh Krishna (Handicare Intl.) at ASSA. They brushed off jetlag gracefully with multiple cups of tea, and jumped in to facilitate three 2-day workshops with their counterparts Ram Ponnusamy, PT (ASSA) and Chamila Anthonypillai (McGill). The program involved three tiers of training: Workshop A for Specialist Leads (SLs), Workshop B for Specialists, and Workshop C for Community Rehabilitation Workers (CRWs). The workshops were on the topics of Communication, Teaching and Learning, and the curriculum was designed to capitalize on interactivity with many leaning games, debates, role plays, and group discussions. We were happy to see the SLs participate very actively in Workshop A, speaking a mix of Tamil and English, giving us greater understanding of their working context, and bringing their sense of humour to the group. Workshop A was meant to serve as a platform for the SLs to digest the training, participate in the key activities, and serve as a model as they would be involved in leading activities during the subsequent workshops. They were supported in transitioning from learners to trainers themselves through a full practice day. Chamila and Ram worked with the group who would lead the teaching on Communication, and Anik and Dinesh worked with the group who would lead sessions on Learning and Teaching. This preparation day allowed the Specialist Leads to practice the delivery of the presentations, adapt the learning activities for larger groups, and plan how to work with the other team members to moderate all activities. 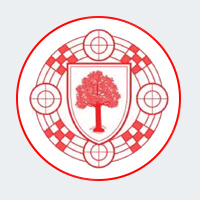 We encouraged them to add examples and learning activities as needed, and supported them in generating ideas on how to moderate turn-taking in a large group, setting up the environment, and facilitating participation from all learners. The SLs took on the workshops with diligence and delivered them brilliantly! Sessions on Communication in Teaching, Learning and Practice were led by Sathiya and Priya (Interactive Plenary Presentation), Bala and Renuga (Theory to Practice) and Kalaivani and Shunmugapriya (Workshop to Workplace). It was clear that the SLs were building on their experiences and trying new methods. Their ability to work as a team was remarkable! We were able to regroup to discuss further modifications after Workshop B, particularly in regards to facilitating highly interactive discussions, simplifying and modifying the explanation of how to give feedback to learners and families, and strategies for group management. In both workshops B and C, the learners jumped into discussions and role plays eagerly and carried the conversation to discuss how to apply the concepts in their everyday work. The highlight of these 2-day workshops was when a group of parents and children from the village-based rehabilitation program came so that workshop participants could practice newly learned Teach-Back techniques. These sessions were carefully orchestrated by the team and ran quite smoothly. Additional feedback on the Train the Trainer program is currently being gathered through focus groups, run by Sivahamy Vijayaratnam, a McGill Occupational Therapy student who is fluent in Tamil and is currently completing her fieldwork placement at ASSA. Based on the workshop evaluations which asked learners to rate their agreement on a four point scale, there was indication that all workshops were received quite favourably. Most participants found that the workshop content was relevant and useful to their work, and that the sessions were well organized and well delivered. After Workshop B, we did a field visit and met with a Special Education Teacher who was already practicing Teach-Back with the family she was working with. This led us to believe that the teaching methods used in the workshops were successful for transferring skills into practice. The training content will also be transferred from the Village Based Rehabilitation program to Institution Based Rehabilitation programming through Priya, a Specialist Lead, who will present the content and tools on “Constructive Feedback” to the rehabilitation staff and supervisors of Canadian students at a professional development workshop on March 9th! It is encouraging that there has already been some influence of the training program and it is making its way from training Specialists, CRWs, and families to being adapted and used for purposes like supervising students at ASSA. We also met with three of the ASSA team members, Sankar, Bala and Sathiya, to discuss future projects and collaborations. Ideas included a workshop on evaluation or a workshop on how to improve and update the current training packages. We look forward to the next steps of the train-the-trainer project and to additional opportunities to work together. For more information, feel welcome to contact: pac.amarseva [at] gmail.com (Ram Ponusammy) (ASSA), anik.goulet [at] mail.mcgill.ca (Anik Goulet) (McGill SPOT) dkrish6 [at] gmail.com (Dinesh Krishna) (Handi-Care) or matthew.hunt [at] mcgill.ca (Matthew Hunt) (SPOT).